I spent several hours on several days sketching details of chimneys, windows, doors, and even individual brick colors. Grosvenor Square is a beautiful square in Dublin's southside, so the police were called. 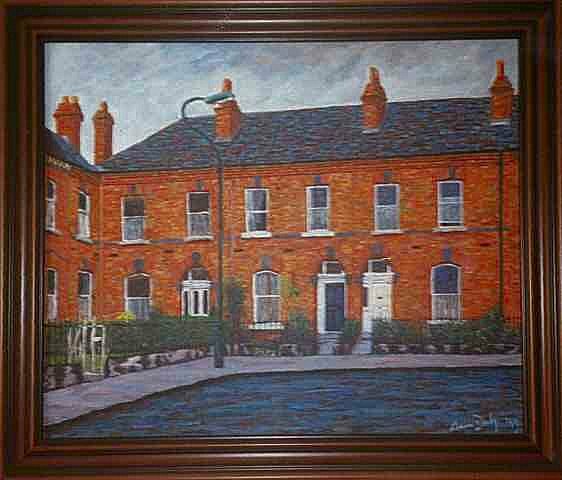 Grosvenor Square, like much of Rathmines and Ranelagh beside it, is quite beautiful but does not lend itself very well to paintings.